Santa Claus has long ridden on a firetruck as part of Gallipolis Christmas tradition. 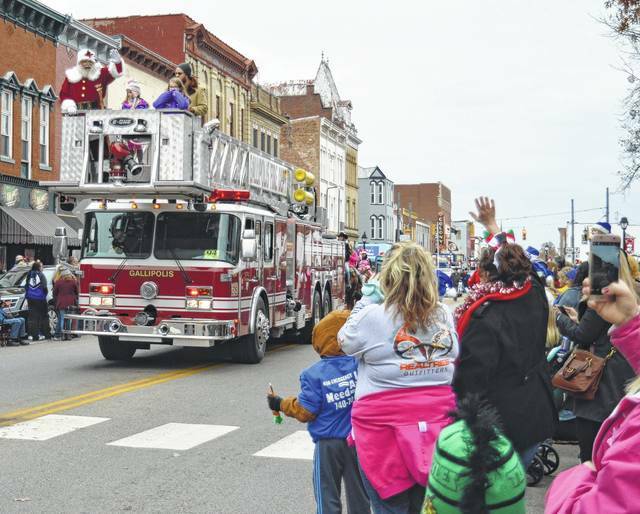 GALLIPOLIS — The Gallipolis Christmas Parade is slated to jingle into action this Saturday. Parade organizers said they moved the annual event to Dec. 8 and slate it to start rolling 1 p.m., instead of the traditional first weekend of the month due to rain. According to Gallia Convention and Visitors Bureau Executive Director Amanda Crouse, lineup will be scheduled the same time as was previously arranged.